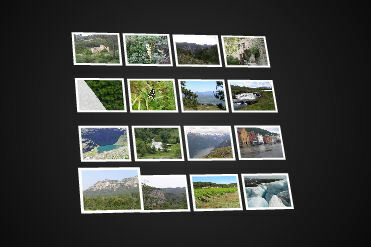 Tilt Viewer is a customizable 3D Flash image viewing application. This extension for WYSIWYG Web Builder automatically generates all the necessary HTML code and data files for you! • Customizable interface - Set colors, number of row/columns and naviation texts. • Cross platform - Windows/Macintosh/Linux (requires Flash 8 or higher).